CHICAGO (WLS) -- Chance the Rapper is putting down the mic and picking up an apron, grilling chicken at the new Nando's location on Michigan Avenue to raise money for his non-profit. Nando's PERi-PERi announced the Grammy-winning rapper will appear at their new Michigan Avenue restaurant on Sept. 5 at 6 p.m. where he will grill chicken and greet fans. Nando's will donate all proceeds from sales at that restaurant for a three-day, Sept. 5 through 7, to Chance's non-profit SocialWorks. Sept. 5 is the first day of school for Chicago Public School students. 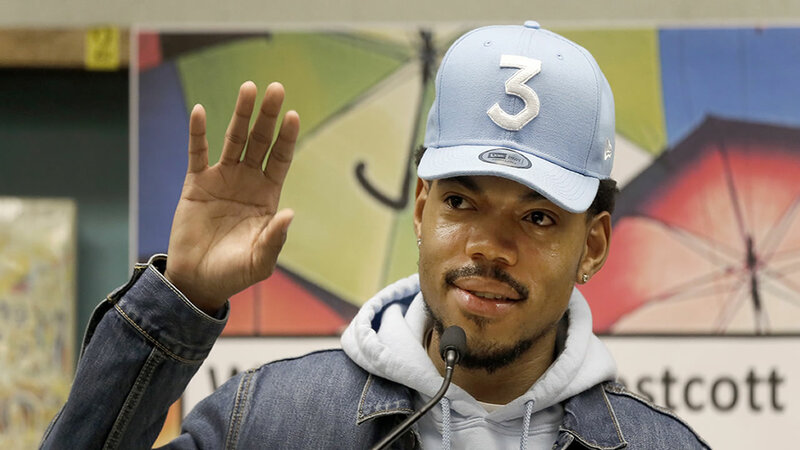 "Nando's has a history of supporting public schools and community non-profits when they open new restaurants, which I really admire," Chance said. The Nando's location will open for business at 11 a.m. on Monday, Sept. 4. The business has donated more than $225,000 to public schools and local non-profits through opening week scales nationwide.